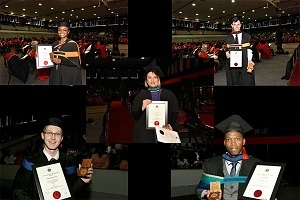 During the recent June graduation ceremonies at the University of the Free State (UFS), the winter chill subsided with some heart-warming academic achievements in postgraduate studies. Four students were awarded a Dean’s medal for the best master’s degree in their respective faculties, and the overall best achiever received a Senate’s medal. The faculties in the limelight were Education, the Humanities, Theology and Religion, and Natural and Agricultural Sciences boasting both a Dean’s and Senate’s medal. Interestingly, the Bible served as subject matter for two master’s degrees from two different faculties – each receiving a Dean’s medal. HJ Prinsloo, under the guidance of his study leader, Prof Francois Tolmie from the Faculty of Theology and Religion, took a closer look at Paul’s letter to the Galatians. “I hope that my studies made me become a critical-thinking theologian who can make a contribution to the interpretation of Paul’s letters,” Prinsloo said. He would like to continue his research by doing a PhD. “My academic interest is the rhetoric of the undisputed Pauline letters in the New Testament.” He gave all the glory and honour to God for his achievement. In her striking polka-dot, ankle-high laced-up sneakers, Lesley Jean Wright not only earned her master’s degree with specialisation in Psychology of Education, but also the Dean’s Medal in the Faculty of Education. Although she has always been an achiever, it was the first time that she received an award of this calibre at university level. “My research is part of the way in which I have chosen to change the world in which I live,” she explains her passion and drive. “The best part of my studies was learning in so much more depth about an area of which I knew very little in academic terms.” She completed her research titled, A Collaborative Inquiry Towards Understanding the Experiences of ‘Out’ Lesbian and Gay Teachers in Gauteng Schools, under the guidance of her supervisor and mentor, Prof Dennis Francis from Stellenbosch University. The Faculty of Natural and Agricultural Sciences had a proud moment when two of their students received sought-after awards. “Modelling real-world problems with mathematical tools is perhaps one of the most difficult exercises in research,” said Prof Abdon Atangana about the research of his student, Mashudu Mathobo, who received a Dean’s medal. Prof Atangana commended Mathobo’s passion, devotion, and dedication to his studies. “He was at my door every morning to discuss the previous night’s work.” Mathobo revised Theis’s mathematical model portraying the movement of groundwater to find a more accurate solution. He came up with an exact groundwater flow equation for a confined aquifer, taking all Theis’s assumptions into account, as well as high-order terms that Theis removed from his equation. Also using mathematics to solve problems of a different kind, was Actuarial Science student and Senate’s medal recipient, Enrico Scheltema. 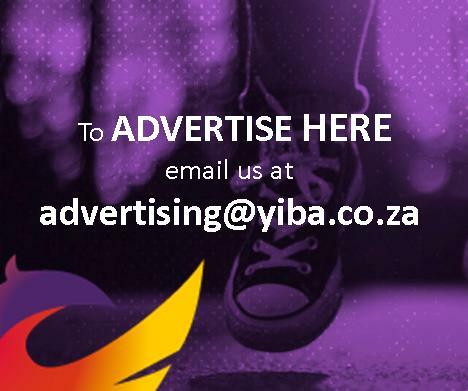 Currently in his honours year, he received this noteworthy award for his undergraduate studies. He is driven by his love for problem-solving and is looking forward to entering the workplace next year. “It is an interesting feeling to be awarded for something you did some time ago,” Scheltema said. While he is yet to fully appreciate the magnificence of his achievement, the faculty and university salutes the young man for his brilliance and dedication.